For Massachusetts boaters, a day on the water resulted in more injuries last year, according to state figures. In 2012, Massachusetts saw 68 reported boating accidents, resulting in 17 deaths, according to the state Executive Office of Energy and Environmental Affairs. This was an increase from 2011, when there were 46 reported boating accidents and 9 deaths. Nationally, there was a significant decrease in reported accidents. In 2012, 651 boating accidents were reported, down from 758 in 2011, according to the U.S. Coast Guard. 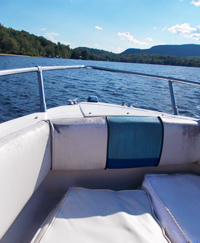 Massachusetts Environmental Police enforce the state’s boating laws and investigate recreational boat accidents on coastal and inland waters, except private lakes and ponds and those smaller than 10 acres. If you are in a boating accident involving personal injury, death or property damage over $500, you are required to report it. Wear life jackets. Many drownings and accidents result from failure to wear life jackets or not having appropriate life jackets onboard. In Massachusetts, children under 12 are required to wear life jackets on boats at all times and boats must have one life jacket on board for every passenger. Life jackets are required for users of personal watercraft, such as Jet Skis. Avoid alcohol. Avoid alcohol consumption while operating a boat. Alcohol use is involved in up to half of teen and adult deaths associated with water recreation, according to the Centers for Disease Control & Prevention. Operating a boat under the influence is against the law in every state in the United States. In Massachusetts, the criminal punishment can include imprisonment, fines and a loss of motor vehicle license and boating registration for one year. If a boater causes serious bodily injury to another person, they may be imprisoned for up to 10 years and fined up to $5,000. Training. The state’s Boat and Recreation Vehicle Safety Bureau offers training, which is mandatory for younger boaters but available to others as well. Avoid swimming areas. In Massachusetts, boaters are prohibited from operating within 150 feet of shorelines used as swimming areas. You must stay more than 75 feet away from floats and markers that line designated swimming areas. Beware of other boaters. Travel the permitted speed (generally 45 miles per hour on inland waters) and slow down as you approach other boaters. Your boat’s wake can cause another boat operator to lose control or injure the passengers. Traveling with passengers. Do not exceed your boat’s passenger limit. Ask all your passengers to wear life jackets, especially young children. When you refuel your boat, ask your passengers to step off the boat. Make sure you have the right amount of food and water. If you are traveling with children, explain the safe areas to sit, how to properly board the boat and what they cannot touch. Aging or broken boat equipment. Before each season, have your boat checked for equipment failures. The Coast Guard offers free vessel checks or you ask your local boatyard. You can also check the government boat recall database. Boating at night. It is best to boat during daylight, but if you go at night, make sure you have the proper navigation lights and limit your passengers so you can focus on operating the boat. State Environmental Officials Urge Residents to Follow Safe Boating Practices, Executive Office of Energy and Environmental Affairs. 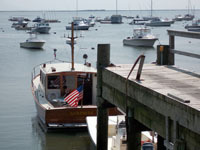 Massachusetts Boating Law Summary, Executive Office of Energy and Environmental Affairs. The Boston personal injury lawyers at Breakstone, White & Gluck have over 85 years combined experience handling injury cases in Massachusetts. We handle cases throughout the state, from Cape Cod and Hyannis to Worcester to Boston, Cambridge and Quincy. If you have been injured, it is important to preserve your rights. For a free legal consultation, contact us at 800-379-1244 or 617-723-7676 or use our contact form.